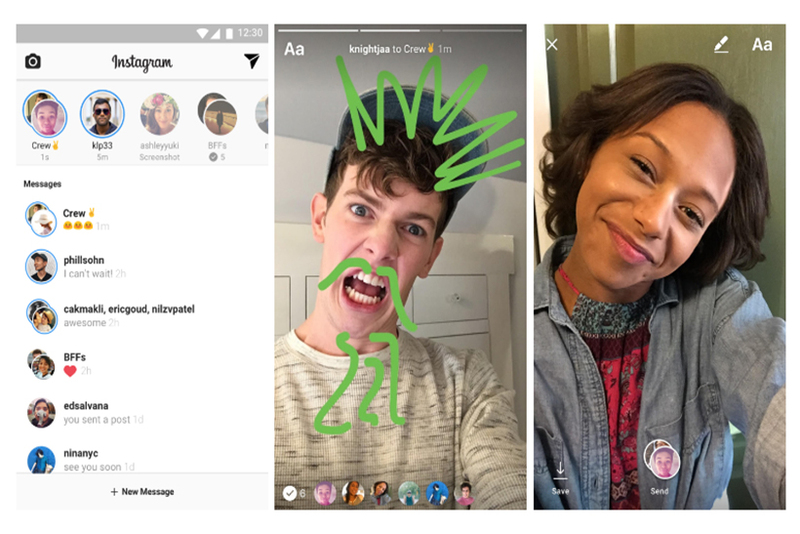 Instagram's live video and ephemeral features give brands one more reason to skip Snapchat. PALO ALTO, CA: For many years, Facebook has been trying to emulate Snapchat, the app that lets users share photos and videos that disappear within 24 hours. It introduced similar ephemeral apps like Poke and Slingshot but killed both apps after less than a year. Facebook even tried to buy Snapchat in 2013 for $3 billion. Now Facebook is once again stepping up its Instagram features to better compete with the dancing ghost. On Monday, Instagram announced live video in Instagram Stories and ephemeral photos and videos for group and one-on-one messages. The new features make it even more akin to Snapchat, heightening the rivalry between the two, and making Instagram a more compelling proposition to advertisers. "Instagram marketers can now offer new experiences to their followers without having to establish and grow another following on a newer platform, such as Snapchat," said Emily Benning, VP of social and digital strategy at WE Worldwide. When Snapchat came out in September 2011, it was the first social media app to focus on people sharing images that could disappear, a feature that fueled its growth because users felt free to send whatever message they wanted, knowing that it wouldn't live online. Instagram's new feature does the same thing—users can send direct messages to their followers that vanish within 24 hours with Instagram Direct, a feature that more than 300 million people use a month, according to the company. With these additions, there's little to differentiate the two platforms for marketers, according to Justin Celko, associate director of social media at digital agency Blitz. To him, the difference lies in Instagram's history. "Instagram has long been a more established marketing platform than Snapchat. Brands have successfully been able to build out large communities on Instagram, whereas they struggle to cultivate an engaged audience on Snapchat," said Celko. 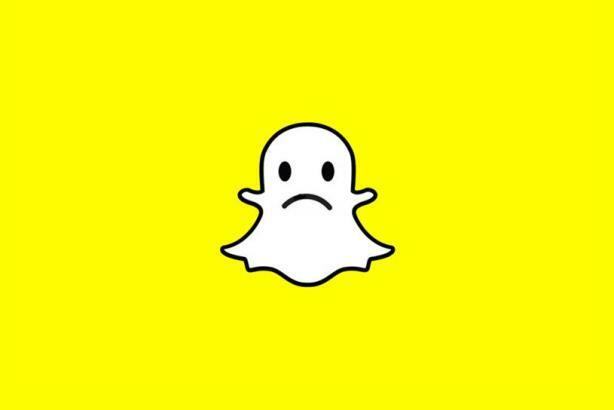 "An established audience and robust advertising products will always be Snapchat's Achilles heel." Matt Lang, senior digital strategist at New York-based digital agency Rain, said Instagram has especially benefited from its Facebook ownership. "Being able to leverage their targeting options and advertising capabilities continues to make it an easy place for brands to invest as opposed to Snapchat, which is still an untested channel for many," he said. However, Instagram has an advantage with a feature that Snapchat has yet to add—live video, said Lang. Much like Twitter's Periscope app, users can broadcast live videos and comment on followers' videos with the ability to send cartoon hearts during the livestream. Lang believes the access to live video on the platform is another intriguing reason for advertisers to continue to focus on Instagram. "Many brands and advertisers who have built up audiences on Instagram specifically will surely appreciate the ability to post live," he said. "It is similar to when Instagram announced the Stories capability—it existed on Snapchat, but many found more success leveraging Instagram, as they hadn't yet built a following on Snapchat." The new live videos will also be ephemeral, but instead of lasting 24 hours, they will be deleted once the viewer finishes watching the broadcast. It's the same concept behind what attracted users to Snapchat to begin with—its intimate appeal. "Both of these features share a similar goal," said an Instagram spokesman in a statement, "to give people the flexibility to capture and share all their moments in a fun, low-pressure way." Snapchat continues to grow. A June eMarketer study predicted Snapchat's user base, mostly made up of a younger demographic than Instagram's, will grow by 27% this year and will have double the amount of users Twitter and Pinterest will have by 2020. Still, Instagram has more followers. The audience Instagram can provide is another reason why the platform offers more to advertisers, according to Benning. Instagram has more than 500 million active monthly users, and its pace is steady, growing by 100 million monthly active users year-over-year, according to Statista. Snapchat has 200 million users active every month. "The biggest benefit Instagram still maintains over Snapchat is sheer user numbers," said Benning. "So they're well positioned to maintain dominance if they continue to evolve their offerings and continually appeal to a younger demographic." What's more, it's easier to connect with these users and gain a following on Instagram, added Casey Roeder, marketing director at New York-based digital agency Wondersauce, who credits this ability to the platform's method for discovery. On Instagram, a person can type in a user's name or hashtag and options come up, much like a Google search. However, on Snapchat, there is no "natural discovery." "It only works if you know the user's exact name or have their snap code," said Roeder. "Until Snapchat introduces an easier method for search and discovery, I foresee brands spending more time and resources on Instagram." Before these new additions, Instagram adopted several other features that originated on Snapchat. In August, the platform adopted Instagram Stories, which allows users to share photos and videos, complete with stickers, that disappear after 24 hours, just like Snapchat Stories. And in November, Instagram added the ability to include web links and mention people in posts in Instagram Stories. Instagram's disappearing messages rolled out to all users on Monday, while the live video capability is being tested with small groups.